DAYTONA BEACH, Fla. - Kyle Busch twice appeared destined to destroy his race car, and twice used breathtaking saves to keep on running around Daytona International Speedway. He probably shouldn't have been in position to race with the leaders. Yet there he was, bearing down on the finish line with a shot at winning Saturday night's exhibition Budweiser Shootout, and with a slingshot pass on the outside of defending NASCAR champion Tony Stewart, Busch pulled off a miraculous win in the first event of 2012. Not too shabby of a start to the season. NASCAR has every right to be giddy about Sunday's season-opening Daytona 500, a pivotal race in sparking interest at the start of a very long season. A rain-shortened event in 2009 set the tone for a rocky year, and two lengthy delays to fix a pesky pothole in the track surface impacted the 2010 season. Then came Trevor Bayne's upset victory last year, and NASCAR never looked back. The 2011 season ranked among the best in years, and ended with a phenomenal race between Stewart and Carl Edwards for the Sprint Cup championship. The two ended the season tied in the standings, with the title going to Stewart on a tiebreaker. All that momentum meant NASCAR could tweak very little during the offseason. Why mess with a good thing, right? Well, not everything was sunshine and roses. NASCAR officials said earlier this month that more than 80 percent of fans polled "hated" the two-car tandem style of racing that had taken over at Daytona and Talladega. Such a strong opinion forced NASCAR to spend a significant chunk of the offseason tinkering with the rules package in an effort to recreate pack racing before the Feb. 26 opener. The Shootout proved NASCAR made the right moves, and the drivers seemed overwhelmingly in favor of the racing. "It's pretty wild and crazy, but, I mean, I like this better than what we had last year, definitely," said four-time champion Jeff Gordon, who rolled his car several times and wound up on his roof for what he said was the first time in his NASCAR career. Gordon's night ended seconds after he nudged Busch, triggering a chain-reaction crash that also led to Busch's second save of the race. It was one of three multicar crashes — the wrecks collected 23 total cars, set up a green-white-checkered overtime finish and resulted in the closest finish in race history. Busch's margin of victory was a mere 0.013 seconds, and his driving awed his competitors. "I was right behind him ... and he had to catch it three times before he saved it," Stewart said. "When you get 3,400 pounds moving like that, to catch it one time was pretty big. To get away from him and catch it a second time was big. The third time was big. That's three big moments in one corner. He just never quit driving it. "There's a lot of guys that wouldn't have caught that. I'm sitting there and the green is still out. I'm going, 'Man, that's the coolest save I've seen in a long time.'" It was a redemption of sorts for Busch, who had to fight hard to keep his sponsors intact at the end of last season. Suspended by NASCAR for intentionally wrecking Ron Hornaday Jr. in a Truck Series race at Texas, primary sponsor M&M's told Joe Gibbs Racing it didn't want Busch in its car the final two races of the year. His career was at a crossroads, and Busch worked hard during the offseason to repair his reputation. He referenced M&M's, which was back on his car for the first time since the company pulled itself off the No. 18 Toyota for the final two races of last season, during his Victory Lane celebration. "First race back in the M&M's car, and we're back in Victory Lane. Pretty cool," Busch said. There are other feel-good stories heading into NASCAR's biggest race of the year. Danica Patrick will make her Daytona 500 debut, and the series is thrilled she's made the full-time move to NASCAR. Dale Earnhardt Jr., NASCAR's most popular driver, had his best season in five years in 2011 and is excited about his chances in the Daytona 500. "I like this kind of racing better. At least I know what to expect," Earnhardt said. "I feel like I have a better chance with this style than I did last year for damn sure." Edwards bounced back from his loss to Stewart in the title race by winning the pole for the Daytona 500. There's already some controversy, as the car for five-time series champion Jimmie Johnson failed inspection before it ever got on the track. Crew chief Chad Knaus will likely be penalized after the Daytona 500. It's all setting the stage for Sunday, which is shaping up to be a strong opener for NASCAR. The race probably won't be 500 miles of three-wide racing, but if it's anything close to the Shootout, it's bound to be entertaining. NEW YORK -- Two and a half weeks ago, the Knicks and Nets clashed in Madison Square Garden. It was a meeting between the 10th and 11th best teams in the East, two floundering franchises seemingly destined for failure. The Knicks had lost of 11 of 13 games when Jeremy Lin, a twice-released point guard out of Harvard, unassumingly checked into the action. The rest is history. Lin scored 25 points in that Feb. 4 game to spark a 99-92 victory over New Jersey. He averaged 25 points and 9.5 assists over his next eight starts, improbably lifting the Knicks to .500. His story captivated the world -- a refreshingly genuine nobody-believed-in-me tale that dominated headlines from Brooklyn to Beijing. On Monday, however, that script was flipped. Despite Lin's best efforts (21 points, nine assists, seven rebounds), the Nets upset the surging Knicks at home, 100-92. And with it, New York's roller coaster of a home stand (beat Sacramento, lost to New Orleans, beat Dallas, lost to New Jersey) took another surprising twist. "The whole team was out of sync," said Knicks coach Mike D'Antoni. "We lost what we were doing the last eight or nine games." That much was clear, with the Knicks displaying a carelessness that was absent against the defending champ Mavericks. It prompts the inevitable question: Will the newfound allegiance between Lin and Carmelo Anthony -- who scored just 11 points in his first game back since suffering a strained groin on Feb. 6 -- develop into the perfect union that New York so fiercely hopes? "Any time you have new players coming back, your identity as a team is going to change," said Lin. "That's what we need to figure out, what our identity is gonna be." At times, the nightmares concocted by talking heads -- issues with spacing; a lack of offensive concentration -- were realized. After racing to a 13-3 lead to open the game, the Knicks were outscored 39-20 over the next 14:41, shooting a paltry 8 of 24 during that span. Anthony was particularly sloppy, finishing with a game-high six turnovers, three more than the error-prone Lin. The most representative play occurred with 6:47 left in the third quarter. Anthony tried to juke DeShawn Stevenson, attempting a stop-and-go toward the basket. The ball slipped out of his hands and sailed harmlessly out of bounds. Whether it was a result of a lay-off or him pressing, he, and the Knicks, appeared discernibly flat. "I felt a little rusty," said Anthony. "I wasn't trying to overdo it. Get this game under my belt." Of course, credit is due to the Nets. The vilified Kris Humphries notched another double-double (finishing with 14 points and 14 rebounds), and Deron Williams was unstoppable. He netted a game-high 38 points, shot a prolific 8-of-14 from distance -- including three in a span of 45 seconds -- and nearly outscored the Knicks by himself (18 to 22) in the third quarter. He cemented his reputation as one of the league's best point guards. "Williams played out of his mind tonight," said Amar'e Stoudemire. Williams also left a friendly reminder for Lin: The second time around, the league won't come so easy. "I think he's becoming a marked man a little bit," said D'Antoni. "But I think we make too much out of individual matchups." After electrifying the Garden on Sunday, the Knicks lulled it to sleep. And with a grueling schedule on the horizon -- 10 of their next 14 opponents boast winning records -- things are about to get undoubtedly tougher. "We have to get some things sorted out," said D'Antoni. "We have to figure out the type of team we have." But here's thing about this Knicks' season, unlike any in recent memory: Each game seems to take on colossal significance. Each loss forebodes future doom. Each win amplifies expectations. Similar to the Heat last season, the Lin-era Knicks have become the definitive story in sports. They're under a media microscope: Anything -- good or bad -- seems possible. But we only know so much. Lin remains a revelation, his heroics outweighing his turnovers. Anthony and Stoudemire can still produce like All-Stars, and New York's role players (Steve Novak, Tyson Chandler, Landry Fields, J.R. Smith) are learning to adjust. The maturation period will take time and growing pains. Monday's loss at Madison Square Garden was part of that process. And while certainly disappointing, it's not catastrophic. "Obviously we're not happy with how it went," said Lin. "But sometimes you need to go through times likes these to become a better team." In the back wall of the Knicks' locker room, adjacent to a massive plasma TV, a dry-erase board lists the team's season notes. Each bullet is penned in blue, emphasizing fundamentals stressed since AAU. But above the X's and O's, a separate message is written in caps: Keep Building Our Great Team Chemistry. That's the test moving forward. Anthony is back. Baron Davis is back (he scored three points in 9:40 of playing time). Now it's up to the Knicks -- and their transcendent point guard -- to continue defying the odds. If nothing else, Melo is fully on board. "I want Jeremy to have the ball," he said. "I want him to create for me. I want him to create for Amar'e. There are gonna be times where I'm the distributor, but for the most part, I want Jeremy having the ball in his hands." McLaren have confirmed that Kevin Magnussen will undertake additional challenges over the coming year, after he reached the next stage of the British team’s young driver programme. Magnussen will carry out work in McLaren’s simulator and will also be given the opportunity to drive the MP4-27 during this year’s young driver test. “I’m really pleased by this new agreement with Vodafone McLaren Mercedes,” said the 19 year-old. “The team has shown great faith in me so far and I feel that this is an important step in my career. Magnussen is the son of former McLaren test and race driver Jan Magnussen. Last year he finished runner-up in the British Formula Three championship, claiming eight pole positions and winning seven races. In 2012 he will combine his role at McLaren with a full-time drive in World Series by Renault. “Racing is the core business of Vodafone McLaren Mercedes,” concluded team principal Martin Whitmarsh. “By enabling talented drivers to fulfil their potential, our Driver Development Programme is a strategic investment in the future of that business and the sport as a whole. The young Danish driver joined the entry level of the team’s young driver programme back in 2010. Chelsea manager Andre Villas-Boas says the club's hierarchy should make it clear they back his vision for the Blues' long-term future. Speaking on the day before the club meets Napoli in the Champions League, Villas-Boas insists he is restructuring the club to "sustain" their success. Villas-Boas maintains that he has the full backing of owner Roman Abramovich. But the Blues boss said: "These words would be more valuable coming from the top. I cannot keep saying them." Meanwhile, Chelsea have been made aware of the alleged racist abuse of members of their squad when they arrived at the team hotel in Naples. "If any members of our team or staff are subjected to racist abuse we would find that wholly unacceptable and it would be reflected in our conversations with Uefa," a Chelsea spokesman said. Villas-Boas has presided over the club's least successful period since Russian billionaire Abramovich took control of the club in 2003, having not won a Premier League game since 14 January. The West London side currently lie fifth in the top tier, out of the League Cup and facing an FA Cup fifth round replay at St Andrew's after being held 1-1 by Championship side Birmingham City at Stamford Bridge on Saturday. But, despite having enjoyed just one win in six matches, Villas-Boas has issued a reminder that he is on a 'three-year project' at Stamford Bridge. He has already spent around £76m on seven players in his first season with five of those signings aged under 24. "In terms of the results this year," added Villas-Boas. "The speculation is normal given the cultural past of this football club, but you have to understand that there's a different perspective now. "We had a three-year project to change not only the team, but the culture and structure of the club. "There's a lot we needed to do, a lot of plans. That's why I'm excited about the future. "Having said that, we have to build a team to win trophies. "We're no longer in the Carling Cup and don't have a chance to win the title. But we are still confident we can do well in the Champions League and the FA Cup." The club's joint top marksman Daniel Sturridge had insisted earlier in the day that they are not "a divided unit". "We are a family and we've got a good unit going," the 22-year-old told Chelsea TV. "Maybe we will see that in the next few games." Ahead of Tuesday night's last 16 first-leg tie against Napoli, Sturridge added: "They have some great individuals, as well as a good team. "But we have the same and we are not going to worry about what they have got. "We have to go out there with the attitude that they have got to worry about what we have got." Fellow Blues striker Didier Drogba said: "We feel that no one really believes in us. "We are going to show we deserve to be here. It's a top game and we are going to have to get a good result." Drogba denied that he gave a half-time "team talk" to Chelsea when they were a goal down in Saturday's FA Cup tie against Birmingham before coming back to draw, thanks to a Sturridge header. "The manager made the speech at half-time," said the Ivory Coast international. "He has leaders in the squad and we are here to help him. "We wanted to gee the team up at half-time and nothing more." Napoli will have to do without coach Walter Mazzarri, who must serve a two-match touchline ban for pushing over Villarreal's Brazilian striker Nilmar in a touchline spat in the group stages. Mazzarri predicts that Chelsea's European experience makes the Italian side underdogs. "We will face a team who have played more than 100 Champions League matches," said the 50-year-old Napoli coach. "We are proud to play this match but I don't want to hear anyone saying we are the favourite. We can find a result only if we play a great match. "All the team has to play not only a special game, but the perfect game. It will be important for us that Chelsea will not score any goals at the Stadio San Paolo." ROTTERDAM - Top seed Roger Federer battled past Russian Nikolay Davydenko in an entertaining 4-6 6-3 6-4 triumph on Saturday to reach the World Indoor Tournament final. The Swiss former world number one now faces third seed Juan Martin Del Potro of Argentina who brushed aside second-seeded Czech Tomas Berdych 6-3 6-1 in Saturday's first semi-final. Federer, who has admitted struggling with the surface and his rhythm, recovered after losing the first set having been broken in the ninth game and early in the second set. Davydenko dominated from the baseline using his powerful forehand but dropped his serve in the sixth game of the second with Federer taking four straight games to force a decider. Davydenko wasted four break points in the third set while Federer, whose serve was never convicning, failed to take six chances before finally breaking to love to settle the match. "We often played big matches and today again," said Federer. "It is good so see him performing so well again." Asked about his previous showdowns with Del Potro ahead of Sunday's final, the Swiss added: "He beat me in the 2009 US Open final in a tough five setter, while our last match at the Australian Open was my 1,000th match on the tour." The main strip in South by Southwest (SXSW), the musical festival held in Austin, Texas, teems with small, dingy dive bars hosting the most important musical acts of 2011. On any corner you could run into Bob Geldof – the festival’s keynote speaker this year – Simon Le Bon, Jack White or Odd Future, the most exciting act in the world at the moment. Guitar rock rules here. 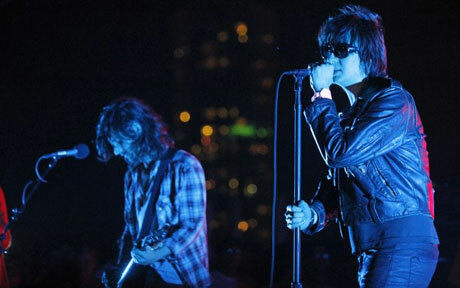 After many pale imitations, the talking point was the Strokes, who played in a riverside park outside the main area. The band, who are releasing their fourth album, Angles, today, performed at twilight before a backdrop of sci-fi skyscrapers and flitting bats. They sounded fresher and crisper than any of the indie bands playing at the festival. Julian Casablancas’s molasses-slicked voice and rock-star presence showed up many of the pretender bands and even the poorer songs from the new album were enjoyable. Most of the crowd stopped tearing into their enormous turkey legs as soon as they started. The fireworks at the end of the set provided an apt finale. Legends of synthpop Duran Duran headlined on the first evening and, again, showed their progeny how it’s done. A synth (and a tattoo) in Austin is a standard accessory and the carbon new wave copies can get tiresome. But the lengthy queues for the Brummie band were deserved. They proved why they’ve been so popular for decades. The highlight, the show that was talked about for the entire weekend, was Odd Future. They’re a macabre, lyrically knifesharp hip-hop collective in their late teens. They played in a skate park in the blazing sun and climbed on top of the speakers and the roof, rapping over the crowd before launching themselves like flying squirrels into the pit and continuing their songs, held up by their loyal fans. Barcelona were the comeback kings at the Santiago Bernabeu as the champions recovered from conceding within the first minute to defeat bitter rivals Real Madrid 3-1 in the seventh and final Clasico of 2011. Jose Mourinho’s men took the lead after only 22 seconds when Karim Benzema grabbed the quickest goal in Clasico history. The home side were pegged back on the half hour mark when Alexis Sanchez grabbed an equaliser in his first league appearance against Madrid. A Xavi volley took a fortuitous deflection off Marcelo to give the visitors the lead, before Cesc Fabregas’ header finished off a wonderful team move in the 66th minute in what proved to be the fixture’s final strike. The victory sends Barcelona level on points with Jose Mourinho’s men and to the top of the Liga table due to their superior head-to-head record against Madrid, who have a game in hand. In one of the most astonishing starts in the history of the Clasico, Real Madrid were a goal to the good within 22 seconds. Victor Valdes’ poor clearance fell to the feet of Angel Di Maria who drilled the ball into the penalty area only for Sergio Busquets to block its progress. Mesut Ozil’s attempted volley deflected off Busquets into the path of Benzema to fire home six yards from goal. Madrid were left to rue opportunities to double their lead when Barcelona drew level on the half hour mark with Messi on hand to turn provider. The 24-year-old bypassed several challenges before sliding a weighted through ball to Alexis Sanchez, who calmly slotted past Casillas from the edge of the area to bring his side back into the game and all square at the break. After a edgy opening to the second period, Barcelona were handed the lead thanks to a large slice of fortune on 53 minutes. Xavi’s speculative volley 25 yards from goal took a massive deflection off Marcelo, fooling a wrong-footed Casillas with the ball spinning off the post and into the back of the net. Cristiano Ronaldo, who had in the first half skewed a shot wide of the target when Di Maria was perhaps better placed to his right, then squandered a golden opportunity to level the contest. Xabi Alonso’s cross found the Portuguese completely unmarked inside the area, but his header drifted wide of the post. Madrid were made to pay, as Barca extended their lead in the 66th minute after a breathtaking counterattacking move. Messi slid the ball out to the right for Dani Alves to whip a beautiful cross towards the back post where an unmarked Cesc Fabregas was on cue to coolly head the ball into the far corner in what was to be the final goal of a pulsating encounter. Next up for Real Madrid is a trip to Ponferradina on Tuesday as they look to defend their Copa del Rey title. Barcelona now head to Japan where they will feature in the Club World Cup. Their first task will be a semi-final meeting against either Esperance or Al Sadd on Thursday. 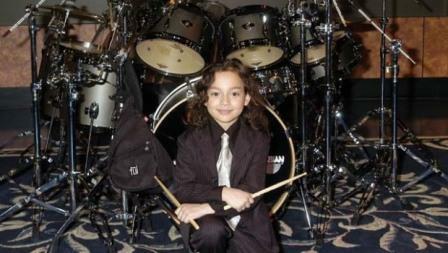 Guinness World Records has recognized a U.S. boy as the youngest professional drummer. Julian Pavone was certified as of March 21, 2010, when he was 5 years 10 months and 3 days old, Guinness announced Tuesday. The rules for London-based Guinness say a drummer must play on at least one commercial record and be paid for the work. The drummer also must have given at least 20 concerts of 45 minutes or longer within five years. Julian is 7 and lives outside Detroit. His drummer-father, Bernie Pavone, said Julian’s percussion background dates back before birth. “I used to play music on my wife’s stomach all the time when she was pregnant with Julian,” Guinness quoted the father as saying. The previous record holder was Tiger Onitsuka of Japan, who was recognized at age 9 years, 9 months. 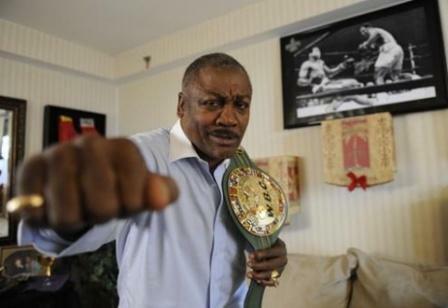 Former world heavyweight boxing champion Joe Frazier, who was known for his personal and professional battles with Muhammad Ali, has died at the age of 67 after a brief fight with cancer. The youngest of 12 children, Frazier was born in 1944 into a working-class family on a farm in the racially-segregated southeastern U.S. town of Beaufort, South Carolina. Frazier dreamed of becoming a prize fighter from an early age, watching boxing matches on his family’s black-and-white television. After fighting as an amateur for several years, Frazier won a gold medal for the United States at the 1964 Olympic Games. But “Smokin’ Joe” Frazier really made his name in the 1970s during his epic rivalry with boxing legend Muhammad Ali. Frazier became the first man to beat Ali, winning the heavyweight title in 1971 in a dramatic, 15-round unanimous decision at New York’s Madison Square Garden. Dubbed the “fight of the century,” an estimated 300 million people worldwide viewed the match, which left both men hospitalized. After Ali responded with a 12-round victory in 1974, the two men met in the Philippines for the famed “Thrilla in Manila,” considered as one of the most famous sporting events in history. After battering each other for 14 rounds, Frazier was forcibly held back by his trainer after nearly being blinded by Ali’s punches. Ali later said the match was the “closest thing to dying” that he had ever experienced. The no-nonsense Frazier was often overshadowed by Ali’s more aggressive and charismatic personality. Frazier resented being verbally attacked by Ali, who referred to him as a “gorilla” and accused Frazier of being too accommodating to the white-dominated society. Frazier’s aggressiveness, close-range style and devastating left hook compensated for his relative small size. He weighed just 93 kilograms – considered small for a heavyweight boxer. Frazier retired in 1976 with a record of 32 wins, 4 losses and 1 draw. The boxing icon’s family said late Monday that he died in his adopted hometown of Philadelphia – one month after being diagnosed with an advanced form of liver cancer.